Eric Steele had a decent enough playing career, keeping goal for his home town club of Newcastle United, as well as Peterborough United, Brighton & Hove Albion, Watford and Derby County. He won a total of five promotions in a sixteen year career. Following his retirement, he had a brief spell doing what many footballers aspire to after leaving the game, running a pub! 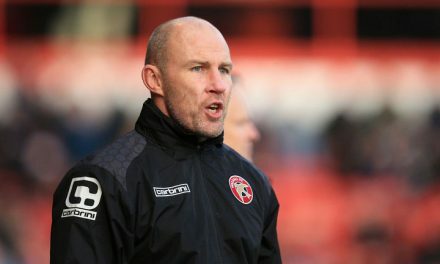 However he also built a successful coaching career both at home and in a number of different countries, initially working for clubs as an independent goalkeeping coach, but then as clubs looked to hire specialist coaches, working for clubs including Huddersfield Town, Derby County, Manchester City and Blackburn Rovers. Perhaps his most well known role was as goalkeeping coach for Manchester United, working under Sir Alex Ferguson and coaching top international goalkeepers including Edwin Van Der Saar, Ben Foster and David De Gea. Following David Moyes departure from Manchester United, Steele returned briefly to Derby County before moving to work with younger goalkeepers in the England set-up. 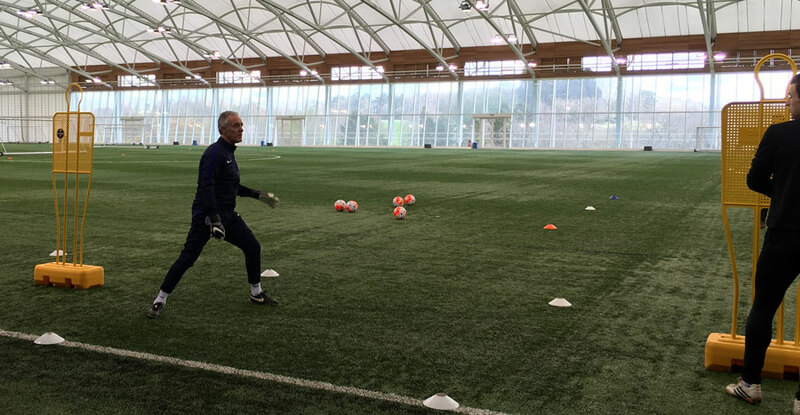 Always happy to help other coaches, Steele has provided a number of excellent coaching masterclasses including an excellent session on Shot Stopping, Handling and Modern Goalkeeping trends at St George’s Park last year. The session aimed to answer three main questions – where should a ‘keeper set their position “down the line”, ie the distance from the goal line. Secondly, how effective the ‘keeper’s first step movement was, and finally how balanced the ‘keeper is when the shot is hit. The first part of the session was on observation, with videos shown of modern day goalkeepers. The watching coaches were asked to observe the example ‘keepers’ positioning in terms of distance from their line. In cases where the ‘keeper had to move to make a save, how quickly did they move their feet. Take a look next time you watch a number of Premier League or Champions League games. Steele commented that modern day goalkeepers tend to position themselves closer to the line, because modern footballs tend to move a lot in the air, and thus it gives the goalkeeper a fraction of extra time to adjust accordingly. There were exceptions; the likes of Jack Butland and Thibaut Courtois take up more aggressive positions, whereas Hugo Lloris of Tottenham tended to be closer to his line, and Steele commented that the French international’s quick movement enables him to adjust his positioning quickly (it’s also worth noting that Lloris is one of only two Premier League goalkeepers who stand 6′ 1″ or shorter, again a trend that goalkeepers are getting even taller). The German international Manuel Neuer was another whose position tended to be slightly further out and Steele commented that Neuer’s set position is lower down, however his quick speed of hand enables him to react quickly. 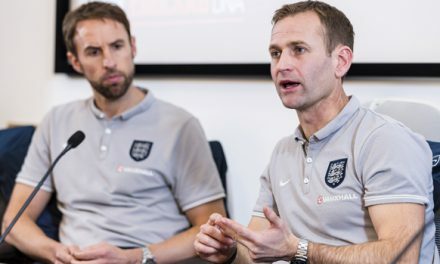 Steele commented that goalkeepers should look to identify what skills and attributes they have and look to define the type of ‘keeper they are. For example, Shay Given identified early on in his career that he wasn’t going to grow any more so he focused his training on improving his foot speed and overall agility. Steele began the practical element of the session focusing on feet movement, with an exercise that required the ‘keepers to move left, right, backwards and forwards with quick, short steps. He picked out when any of them used large steps. The ‘keeper would then be required to get balanced and deal with a shot. 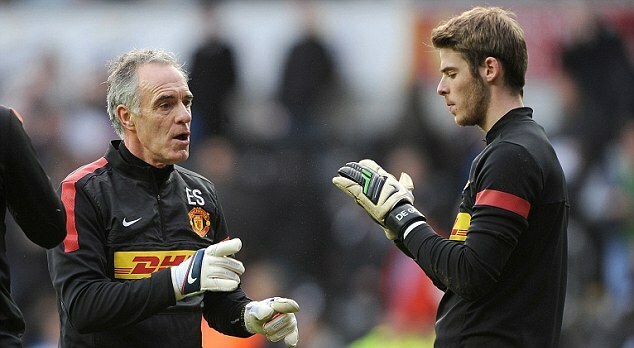 In the next part of the session, Steele used the example of David De Gea, who he worked with at Manchester United. De Gea insisted on working on staying upright when faced with a striker bearing down on goal, as strikers were tending to aim high and often towards the near post, with the ‘keepers expecting them to shoot low and towards the far post. The exercise focused on the ‘keepers positioning and balance, reacting not only with hands but feet, with the prime objective to keep the ball out of the net. It was interesting to note that De Gea brought the exercise with him from Athletico Madrid when he joined United, proving coaches learn from working with players as well as the other way round. The final exercise in the session involved Steele and two of the goalkeepers as servers to the other goalkeeper. The exercise was returning to the initial question of positioning “down the line” and had the ‘keeper reacting to different angles and types of approach, moving quickly into position with good foot movement, getting set at an appropriate distance between the goal and the player, and trying to put the pressure back on to the attacking player. Steele put a line of markers half-way between the goal line and the six yard box, and had the ‘keepers try different distances from their line to see not only how it affected their ability to save the shot, but also how it affected the attacking player’s decision making. The idea was that good strikers would study how goalkeepers react to situations, and therefore ‘keepers look to counteract by trying to transfer the pressure. Although Steele was looking to perhaps tweak the young ‘keepers’ positioning to improve their chances of keeping the ball out of the net, he was keen to stress that he would only make changes that the player was comfortable with. As he stated, the prime objective as goalkeepers and goalkeeper coaches is to keep the ball out of the net, while also striving to constantly look at new ways to counteract the modern trends in ball technology and the strikers improving ability. Is positioning down the line something you consider when working with or as a goalkeeper? Have the modern ball technology altered the way your ‘keepers work, and how aggressive a position do they take up? 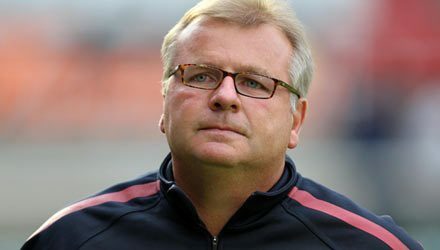 The England DNA – the path to a successful national team or another false dawn?